← 10 Fun Valentine’s Day Crochet Patterns! Have you heard of “The Crochet Awards”? They used to be called the “Flamies” or the “Flaming Hook of Justice Awards”. They were started by Laurie Wheeler, the founder and fearless leader of The Crochet Liberation Front. Each year, many crochet designers, bloggers, yarn companies and more are nominated for these awards. Anyone can vote for their favorites in each category, starting on Feb. 23rd. You can even nominate your “wildcard” favorite starting on Feb. 16th. 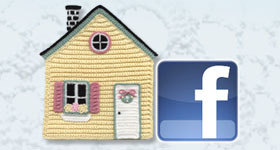 For more information about The Crochet Awards, check out this page. 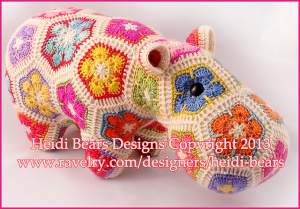 It is the Happypotamus, designed by Heidi Bears! Isn’t it pretty with all those vibrant colors? This design won in the category of Best Pillows or Cushions. If you’d like to make one of these, you can find the pattern for sale in Heidi’s Ravelry shop here. Now back to this year’s awards. The Crochet Awards are being split up into quarterly awards in order to feature more great crochet stuff! All of the nominees for the first quarter of 2015 are listed on this website. This quarter’s awards are all about apparel, from jackets to scarves and everything in between! To see all of the categories for each quarter of the year, check out this page. I’d like to share a few of my favorite designs that are nominated for the first quarter of 2015. This is the Fun in the Sun Cover-up by Marly Bird that is nominated in the category of Best Beachwear (swimwear, coverup). It was published in the Summer 2013 issue of Love of Crochet magazine. I like this design because of the nice motifs that Marly used and the possibility to wear it as an everyday top (with the addition of a solid top underneath, of course). It looks very comfortable and easy to make, too. This is the Jordan Sleeveless Pineapple Top by Vicky Chan that is nominated in the category of Best Tank/Tunic Top. 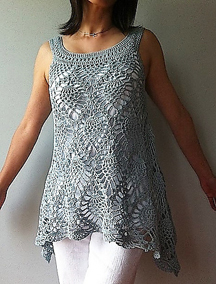 I like the relaxed look of this top and the crochet pineapple is one of my favorite designs! I think this top would look great on many different sizes and figures! You can find this pattern for sale on Ravelry here. I was one of the 3 judges in the CGOA Design Competition last year at the CGOA Conference in Manchester, NH. It was a blast! This year, I’m one of the 2 co-chairs who are putting the design competition together. The other co-chair is Bobbie Matela from Coats & Clark (also a CGOA Board member). We’ll have all of the details for this year’s design competition very soon, so stay tuned for that! This is the ZigZag Blues Cowl by Yuliya Tkacheva (I believe she’s Russian and is living in the UK). 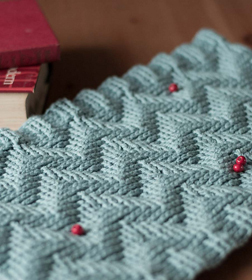 I love this cowl because of the zigzag design done in all front post and back post stitches! It’s brilliant and has lots of texture! You can purchase this pattern here. 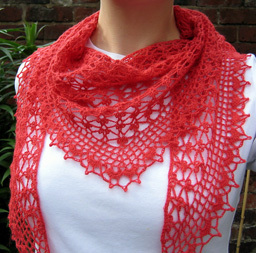 The last of my favorites that I’m going to share is the Summer Sprigs Lace Scarf by Esther Chandler. This scarf is nominated in the category of Best Scarf. 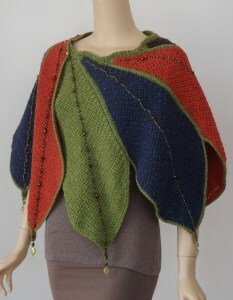 I love the lacyness of this scarf and the pattern is free on Esther’s website here. If you scroll to the bottom of her blog post, you’ll see the pdf downloads of the pattern and charts. I haven’t made this scarf yet, but 166 people on Ravelry have made it! If you’re not a Ravelry member, you really should join! 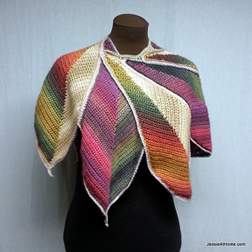 It’s free and has links to more patterns that you can imagine! Here’s the Ravelry website. This entry was posted in Crochet Awards, Crochet designers, Crochet designs, Crochet patterns and tagged crochet, crochet awards, crochet designs, crochet patterns. Bookmark the permalink.